Their surprise at the fact that I am continuing a journey I began in seventh grade is always something I wish I could better articulate. It can be difficult to put into words my feelings of loyalty and dedication to this program that has changed my life. I have found that the “10 Thousand Hour Rule” described in Malcolm Gladwell’s Outliers has always been a good place to start. 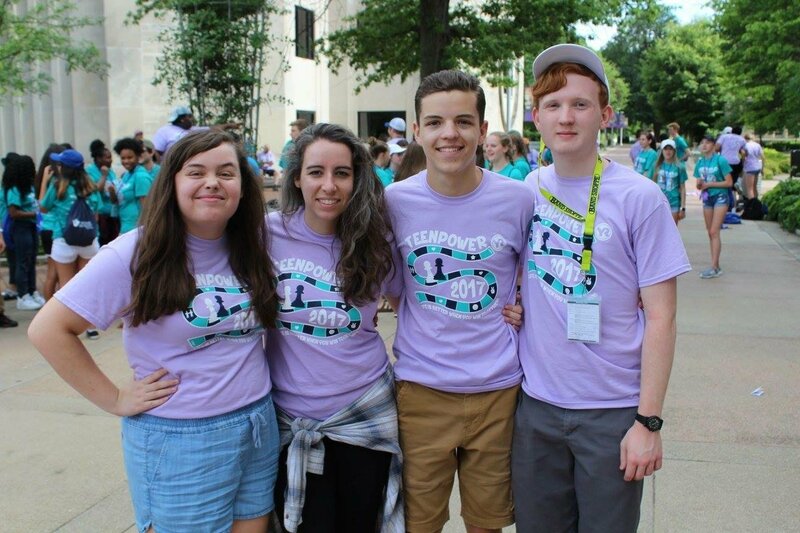 While I have never calculated the time I have spent attending TEENPOWER as a participant, serving as a member of Youth Staff or now acting as both a member of College Staff and the TEENPOWER program intern, I do know that those hours have certainly added up over the years. Like Gladwell’s principle states: “It takes ten thousand hours to become an expert at something.” If it will indeed take thousands of hours to perfect things like generosity of spirit, a dedication to encouragement and a value of both community and servant leadership, then honing this craft of compassion through TEENPOWER is something that will forever be worth my free time and effort. Additionally, I have never quite seen as powerful of a force than the atmosphere of the community the TEENPOWER participants create over the course of just a few days. A unique blend of excitement, friendship, emotion and strength of spirit are just a few things I can put my finger on when trying to articulate and recall the hustle and bustle of campers and staff alike mingling and then bonding over the course of the conference. There’s nothing like it, and I don’t think I will ever be able to find it anywhere else. However, the most tangible thing that brings me back every year is the lesson that these students are stronger together, especially once they realize that leadership is a marathon and not a sprint. I myself have been in their same shoes, so I know firsthand how emotionally and physically draining a school year can be. This conference allows them to realize that nothing recharges their leadership abilities and dedication to their communities than bonding together in this space. If that isn’t a worthy enough reason to return every year to the people that help you bring out the best in yourself and others, than what is? Lucy is the 2018 Youth Resources TEENPOWER program intern. She is 2017 YR alumni who graduated from Memorial High School and now attends Belmont University. She has participated in the TEENPOWER program for seven years.